Alright… it’s not too often an album turns 50 years old. 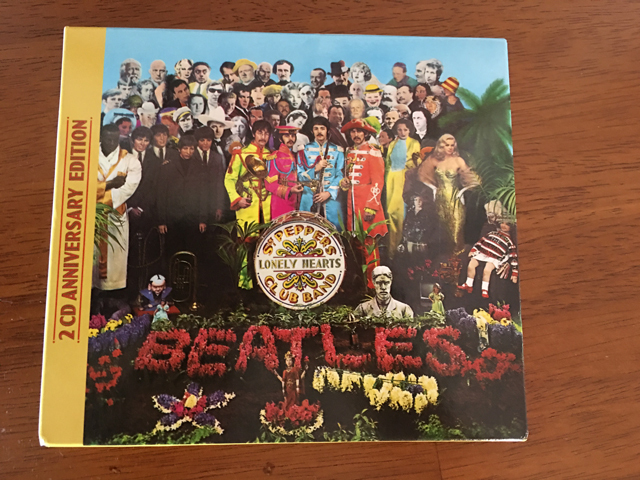 But on June 1st, The Beatles legendary “Sgt Pepper’s Lonely Hearts Club Band” turned the golden age of 50. If this makes you feel old, I was almost 4 years old when this album came out. No, I do not remember it being released, but I do remember seeing it in my brother’s record collection some years later. I first bought the album on vinyl when I was in my late teen years. I didn’t get another copy of it until it came out on CD for the first time in 1987. I was a Beatles fan, but only of their post 1966 albums which would be “Revolver” and later. 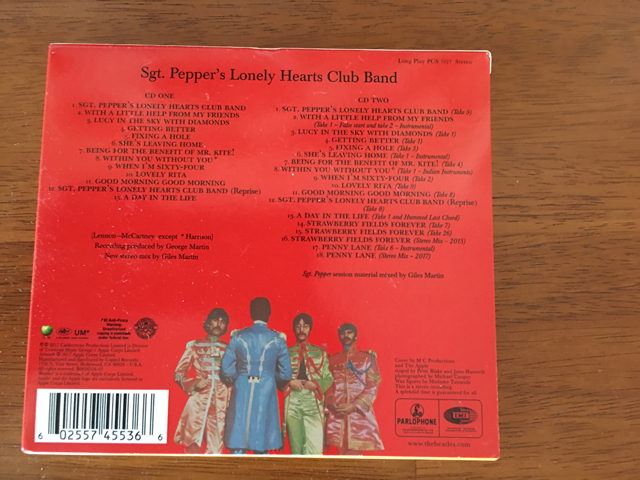 “Sgt Pepper’s” was pretty monumental as it was a stereo release worldwide. The previous albums were a mix of mono and stereo. This album contains what is still my all time favorite song by The Beatles. It’s the last song “A Day In The Life” Other songs have come close, like the medley off Side 2 on “Abbey Road” but the arrangement is just incredible and how the song’s construction just meshes together. The ending of the main part of the song as an elongated piano tone, which then melds into the final seconds of the song with the oddly repeated phrase “never could be any other way” was the stsart to The Beatles creative period that I embraced over the pop hits. 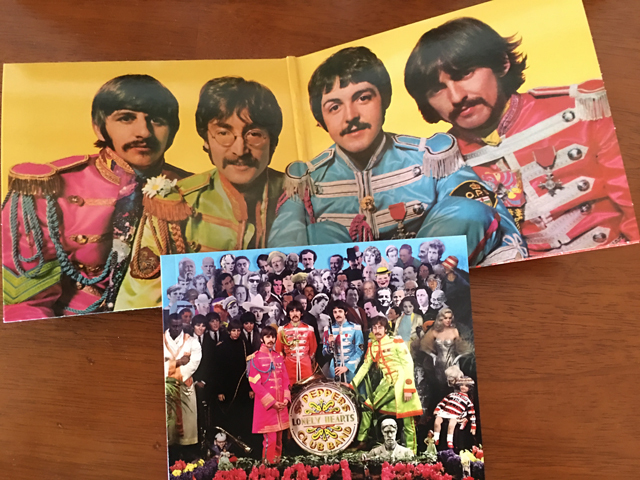 As for this 2CD Anniversary Edition of the album, I admit that I’ve not listened to CD2 yet, which are outakes of different songs, including some from “Sgt Pepper’s” but the sound on CD1 which is the entire album, is pretty awesome. The remastering of this edition really brings out the sound and all of the big and small parts of each song. Compared to the 1987 CD version, this is a well done effort and the differences are evident and recognizable. Very much worth the $14 I paid from Amazon. And with that, I say Happy 50th “Sgt Pepper’s”. Your 55th will be just as memorable.